Welcome Fall! We are ready for cooler temperatures, beautiful leaves and pumpkin spice! The Santa Claus Museum is open on weekends: Saturdays 9-5 and Sundays 9-4 CT We have some fun events planned for the last weekend in October! Check out our Upcoming Events tab! 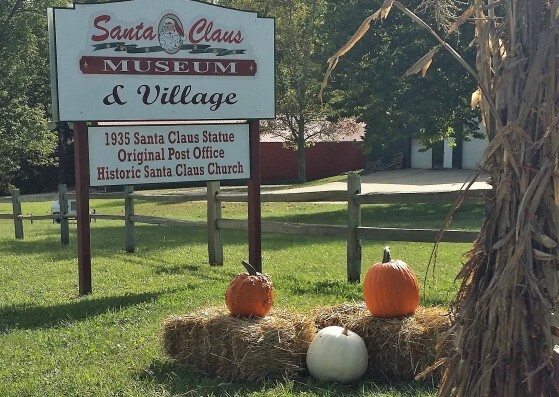 Visit the Santa Claus Museum & Village and discover the story of Santa Claus. 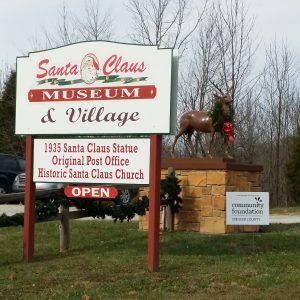 The Santa Claus Museum features historical documents, photos and artifacts illustrating the progression from the tiny settlement of Santa Fee (pop. 65) to the present day town of Santa Claus. Exhibits feature the story behind the town's famous name, the history of tourism, and artifacts highlighting the town's unique history. Page through decades of children's letters to Santa Claus, and listen to the voice of Santa Jim Yellig. Explore the joy behind Christmases of yesteryear with antique toy displays and a large collection of Santas of every shape, size and interpretation. Make sure to visit the Original Santa Claus Post Office and pen your free letter to Santa. Include your full address, as Santa and his Elves will write back in December. 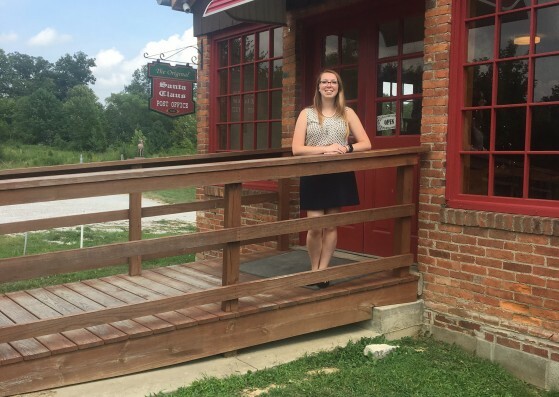 This historic structure also serves as the headquarters for Santa’s Elves, a group of volunteers who tirelessly help Santa answer the thousands of children’s letters that arrive every year. Stop by the 1880 Santa Claus Church, a beautiful historic structure that contains most of its original furnishings. And don't miss the opportunity to take your family photo in front of the historic 1935 Santa Claus Statue. Standing 22-feet-tall and built of solid concrete, this statue is one of a kind. We look forward to seeing you soon at the Santa Claus Museum & Village. We will be open on Labor Day! Come and visit 10 am- 2 pm!